Well, it’s not the first time I mentioned this place (Ten Ren). Someone form Twitter recommended to me once, and I decided to take a look at it, and bought these 2 Oolongs. 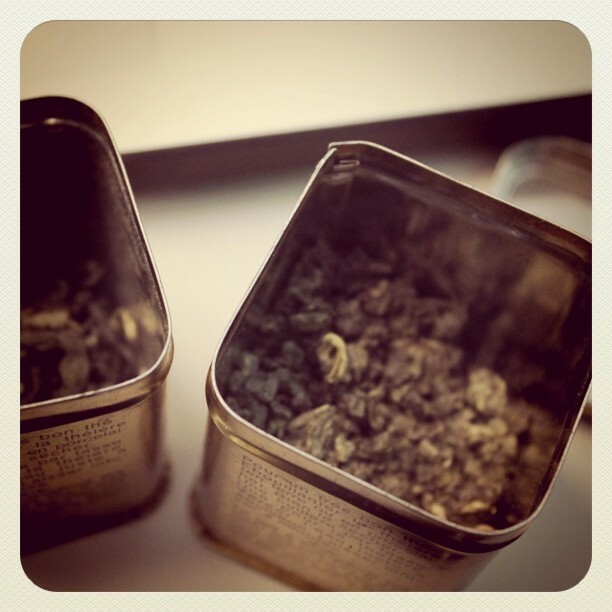 Pouchong on the left and Basic Green Oolong on the right. They don’t have that much of a choice, just a couple of them, most of them from Taiwan. I would definitely go back again, and try few more. I anyone has any other recommendation, I will try to go visit some other places in Manhattan, Chinatown, or eventually in Queens.